“Black Christmas” is One of the Most Underrated Pioneers of the Slasher Sub Genre; Here are 10 Facts You May Not Know About This Essential Horror Classic. Comedian Steve Martin not only loves Black Christmas (1974), but he claims to have watched it 27 times. Filmmaker Bob Clark, who is best known for the immortal classic A Christmas Story (1983), first explored the Christian holiday in a much more horrific manner. A mysterious killer makes obscene phone calls to a group of unsuspecting sorority sisters, as he hides out in their house and systematically wipes them out. Film historians always give Halloween the nod as the “Father” of slasher films, but Black Christmas should always be debated in that discussion. After all, Clark’s Christmas emerged on the Silver Screen several years prior to John Carpenter’s Halloween. One thing that isn’t up for debate is that Black Christmas IS the first slasher movie to utilize a holiday as the film’s title. After Halloween, more horror movie makers began using holidays to creep out audiences. My Bloody Valentine (1981), Silent Night, Deadly Night (1984) and April Fool’s Day (1986) are just a few examples. 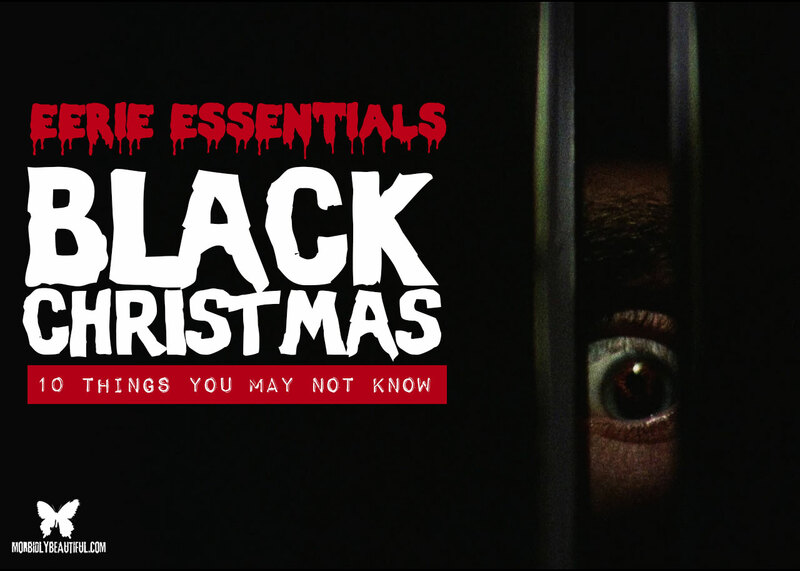 Now, here are 10 things you may not know about Morbidly Beautiful’s Eerie Essential: Black Christmas. How can the King of Rock ‘n’ Roll be wrong? That’s right, Elvis Presley himself went on record saying that Black Christmas was his favorite horror movie. In fact, to this day, his family watches the movie as a tradition in his memory. NBC decided to air Black Christmas in prime time with the title “Stranger in the House”. Unfortunately, the film was too scary for network television audiences and was quickly yanked off the airwaves. Filmmaker Bob Clark admitted that the film’s original script featured much more heinous murder sequences to create more blood and guts. In the end, Clark decided that toning down the kills would heighten the suspense and make the murders more chilling. The final product speaks for itself over 40 years later. The setting for Black Christmas featured a winter wonderland of beautiful snow. However, is as the case with so many Hollywood movies, the snow outside of the sorority house was in fact a foam that the local fire department provided to the filmmakers. Cinematographer Albert Dunk later said that the foamy substance made the grassy landscape grow greener the spring following the film’s principal shoot. The killer’s voice on the telephone was performed by a number of people on set. In an interview, Bob Clark said that there were in fact three performers: himself, Nick Mancuso and an actress. Clark said he couldn’t remember which actress, but at a fan expo in 2014 the mysterious actress was addressed by Mancuso. Nick recalled that actress Ann Sweeny probably did the voice, but he wasn’t absolutely positive. Whoever’s voice it really was found themselves dubbed in during post-production, but actors reacted to the “voice” of Bob Clark while shooting the scenes. 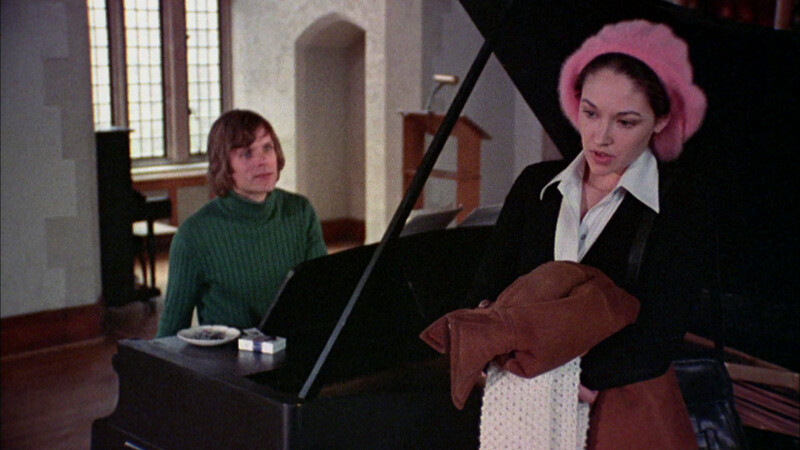 Halloween (1978) made the idea of the killer’s POV fashionable in horror movies, but it wasn’t quite as innovative as filmmaker John Carpenter would have you believe. 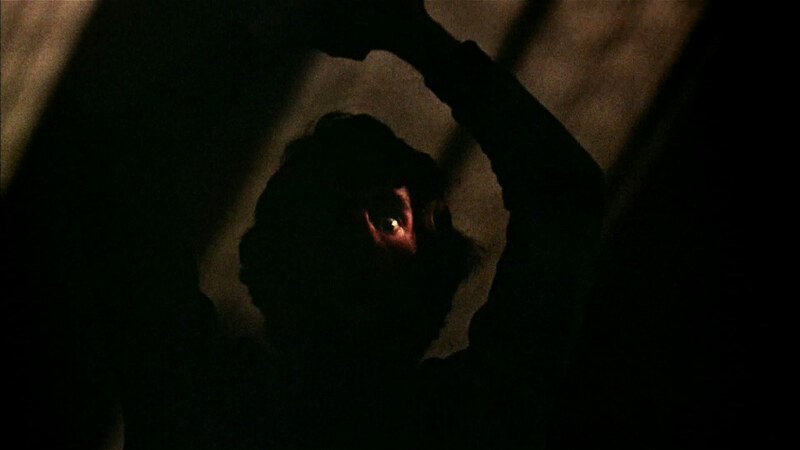 In Black Christmas, which was released four years prior to Halloween, cinematographer Albert Dunk created the murderer’s point-of-view shot courtesy of a shoulder harness he used during principal photography. 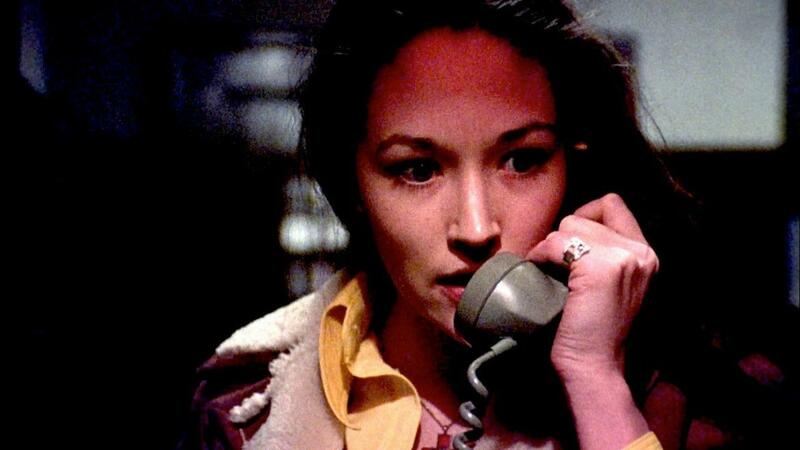 And even Black Christmas can’t lay claim to be the true innovator of the POV killer. Peeping Tom (1960) holds that honor. Edmond O’Brien was originally slated to play the role of Lt. Fuller in Black Christmas. The old school actor made a name for himself in such classics as The Man Who Shot Liberty Valance (1962) and The Wild Bunch (1969). 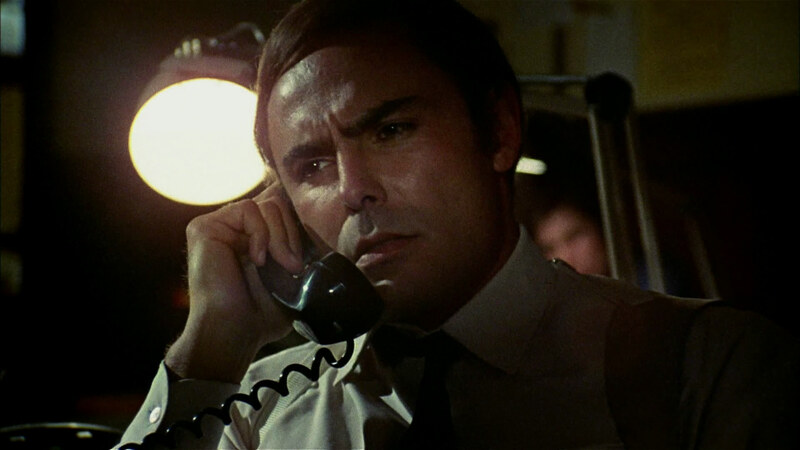 However, O’Brien was struggling with Alzheimer’s when John Saxon was cast in the part at the very last moment. Saxon later played a very similar role, as Lt. Thompson, in Wes Craven’s masterpiece A Nightmare on Elm Street (1984). Black Christmas was initially released in the United States under the title of Silent Night, Evil Night. 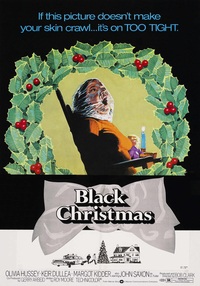 The U.S. distribution company feared that the title of Black Christmas would be misconstrued as a blaxploitation film. For whatever reason, the film did better at the box office once the title was changed back to Black Christmas. 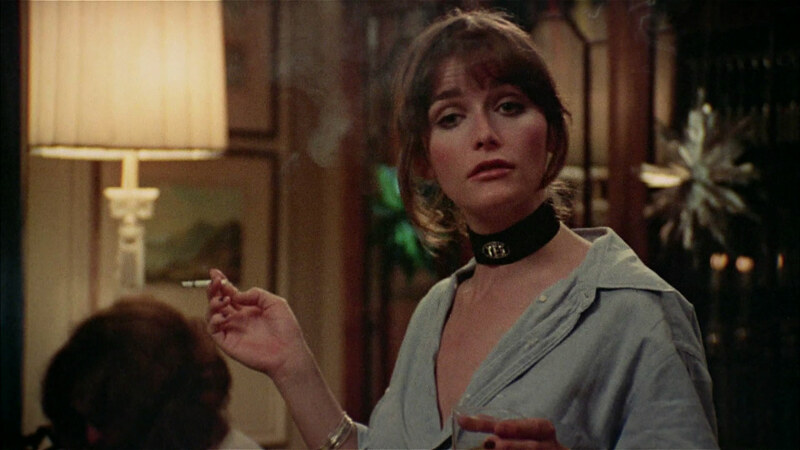 Actress Margot Kidder (Barb) went on to play the iconic character of Lois Lane in Warner Bros.’ original four Superman movies. Black Christmas, at the time of its release, was a critical failure. This came as no surprise to Kidder, but she was taken by surprise later in life at what a cult following Black Christmas developed. With only a budget of $620,000, Black Christmas grossed just north of $4 million at the box office. Despite what some film historians would have you believe, the film was a viable motion picture. Critics might have slammed the movie, but its success financially is no myth. 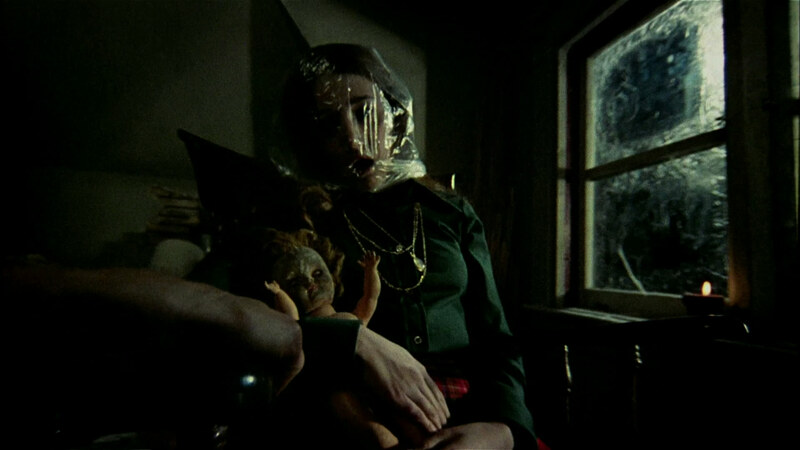 Audiences responded in 1974 and continue to do so today, as Black Christmas is not only regarded as a cinema classic but one of the original slasher films.